The pressurized gas industry has more than your average amount of hazards associated with the safe transportation and storage of its main products. High pressures inside the gas cylinder require that the utmost care and precaution must be used to prevent the inadvertent release of gas. If a valve breaks, cylinders can become projectiles, shooting across facilities at unsafe speeds. Another major concern is that several pressurized gases are flammable, requiring that the elements these gases interact with should be strictly monitored and severely limited. Not only do gases need to be prevented from interacting with other elements, but some gases also have corrosive properties themselves, making the need for a reliable storage option even more demanding. The need for stringent safety precautions is first and foremost on companies’ minds when they are considering storage valve alternatives. Since the criteria for performance is so demanding, we are honored that so many specialty gas producers choose Sharpsville Container Corporation (SCC) to fulfill their needs. 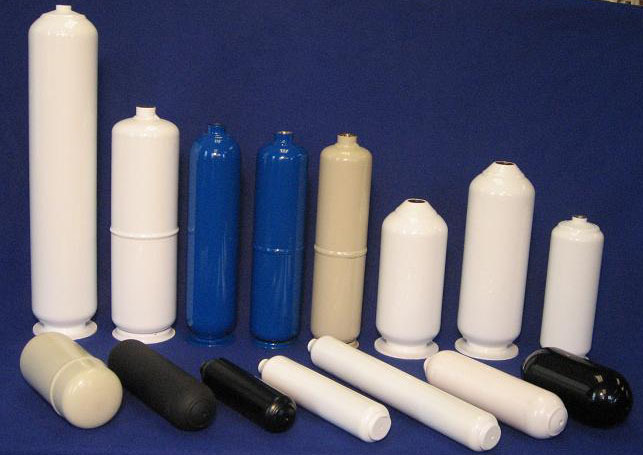 Serving the major specialty gas producers worldwide, SCC cylinders are offered in both industry standard and custom designed sizes using a variety of approved materials and prepared to accept various CGA valve connections. Our compressed gas cylinders are fit for a variety of uses such as calibration, non-reactive gases, non-refillable/one-time use scenarios, and more. 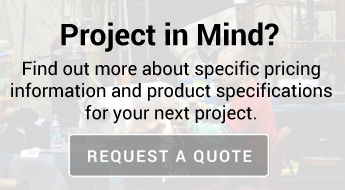 For custom solutions, our in-house design and engineering team works with you one-on-one to develop and manufacture a custom-designed and pressurized gas cylinder. To optimize your container, we meet with you at your facility to see your processes, understand any existing challenges and talk about potential solutions. We manufacture your industry-standard and specialty gas cylinders in our 100,000-square-foot-facility. All of our cylinders are finished and protected with a durable, attractive powder coating finish, with the color of your choice. 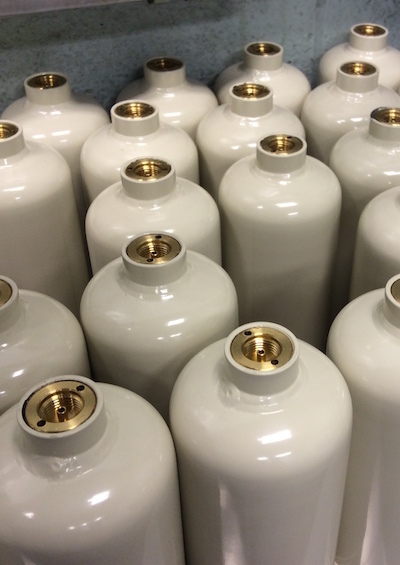 SCC’s non-refillable gas cylinders are widely used in medical, specialty gas, industrial safety, calibration applications, and more. To ensure that every cylinder is operating at the safest level possible, we take the time to test every detail. Tests include a hydro check, followed by a leakage test after we’ve pressurized your specialty gas cylinders. After labeling and depressurizing your non-refillable gas cylinder, we then pin or stake the valves. When you receive an SCC cylinder, you can be assured that it is reliable and up to date in its material properties. All of our cylinder products are manufactured and tested in accordance with US Department of Transportation and Transport Canada requirements. DOT-39: With a DOT-39 approval, your industry-standard pressurized gas cylinders can be transported throughout the U.S. as they’ve passed the tests and quality standards of the U.S. Department of Transportation. Transport Canada (TC): Our knowledgeable team inspects and tests our compressed gas cylinders to ensure they meet the standards of Transport Canada, which allows you to transport your cylinders throughout the Canadian provinces. TPED: Transport your reactive or non-reactive gas cylinders within the European Union through our comprehensive testing and inspections for TPED.